There are places that charm you with their exquisite exterior, a welcoming stairwell or the promise of a hidden wonder. As you peek closer and step inside, you’re thrilled at having walked into something built with magic, where all that you see holds a story untold and makes you forget the crowd, the chatter, the world outside. No doubt that’s exactly how we felt when Mumbai-based Heeral Akhaury invited us to peek within her gorgeous home. After spending more than a decade in Advertising, Heeral gave it all up to pursue her passion for design in lifestyle. The house, which she purchased nearly four years ago, became the testing ground for her inner designer to have a canvas to work with. The most striking feature of her abode is the uninhibited use of the color white, a rather daring feat, but one she swears by. “I was inspired by a house we visited at Auroville, Pondicherry, ” she remarks. Heeral goes on to inform us that contrary to popular belief (and fear! ), white allows you to bleach off any color and is not as high maintenance as most perceive. The openness and expanse brought on by a pearly white base, allows for a beautiful amalgamation of the old and new and has allowed her to experiment with an eclectic decor language. Staying away from done-to-death elements such as the ubiquitous Italian Marble, the house instead features old world elements such as mosaic floors in the rooms (“I grew up in Mumbai, where those floors followed you everywhere!”), or Moorish influences in the arches, and others inspired by her travels. 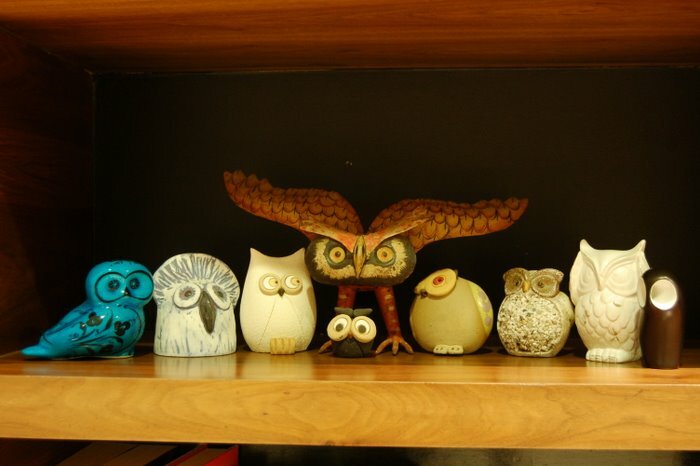 After giving shape to her wonderful home, Heeral now consults on design and interiors, pursues furniture design and restoration actively and, much to our delight, paints quirky owls in her free time. If you would like to feature your home here, write to us at iheart@jaypore.com with the title ‘Home Diaries’. Posted in Art, Artist, Crafts, Decor, Home Diaries, Homes, Jaypore, People of India, Profiles, Textiles, Tips, Women, Wondrous India and tagged advertising, decor, decoration, Design, feature, Furniture, Home Diaries, Homes, inspiration, interiors, Jaypore, mumbai, Tips, Travel. Bookmark the permalink.